Xin Jiang, is a professor and holder of the Chair of Surface and Materials Technology at University of Siegen, Germany. Zhenhui Kang, is a professor in the Institute of Functional Nano & Soft Materials and the Jiangsu Key Laboratory for Carbon-Based Functional Materials & Devices in Soochow University, People's Republic of China. Xiaoning Guo, is a research assistant at the Institute of Coal Chemistry, Chinese Academy of Sciences, People's Republic of China. Hao Zhuang, is a senior scientist at University of Siegen, Germany. 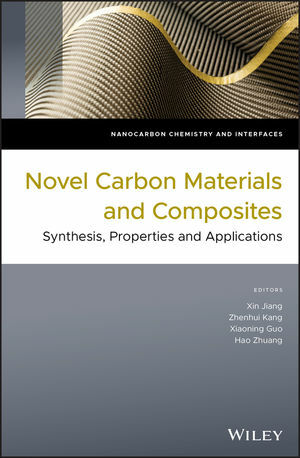 This series reflects recent developments and findings in the field of nanocarbon chemistry and interfaces; one of the most important aspects of nanocarbon research. Topics covered include the formation, structure and properties of diamond, diamond nanoparticles, graphene, graphene-oxide, graphene (quantum) dots, carbon nanotubes, carbon fibers, fullerenes, carbon dots, carbon composites, and their hybrids. Key applications in electroanalysis, biosensing, catalysis, electrosynthesis, energy storage and conversion, environment sensing and protection, biology, and medicine are highlighted.